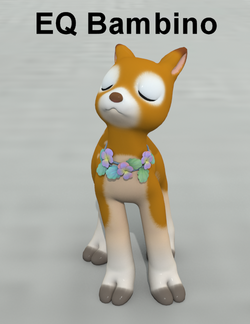 EQ Bambino for Poser11 Toon Fawn. This is a stand-alone figure only for Poser11. If you loaded this in the other programs, look for the bones of jaw and eyelids under the head part, created by elleque. This page was last edited on 11 April 2018, at 21:48.